Vision C is a universal digital radiography system with fully modular stand design configurable to all diagnostic radiography needs. Available in fully motorized auto-positioning configuration with manual override capable of practically all radiographic techniques or in more affordable manual configurations Vision C can be tailored to your specific needs. 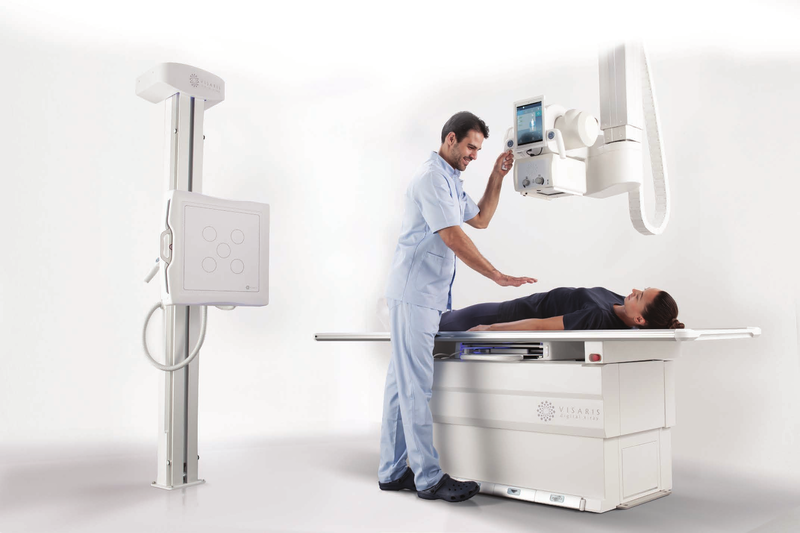 Automated system positioning, exam set-up, acquisition and archiving on the Vision C provides unparalleled imaging efficiency, experience and diagnostic accuracy and lets you realize all the advantages of truly modern digital radiography. The heart of Vision C is a highly mobile, light weight, overhead tube stand that can be combined with a range of patient table options and detector stands using combinations of fixed and portable detectors. From truly modest room sizes to spacious high throughput trauma imaging rooms Vision C can be configured to fit any diagnostic process or room requirement. Whichever configuration you choose, all system components are seamlessly integrated with portable and fixed system consoles supporting advanced functionality such as auto-positioning and long anatomy imaging (stitching).